On January 29 the CBM issued Regulation No 1/2019, allowing foreign banks and financial institutions to hold equity of up to 35% in local banks. 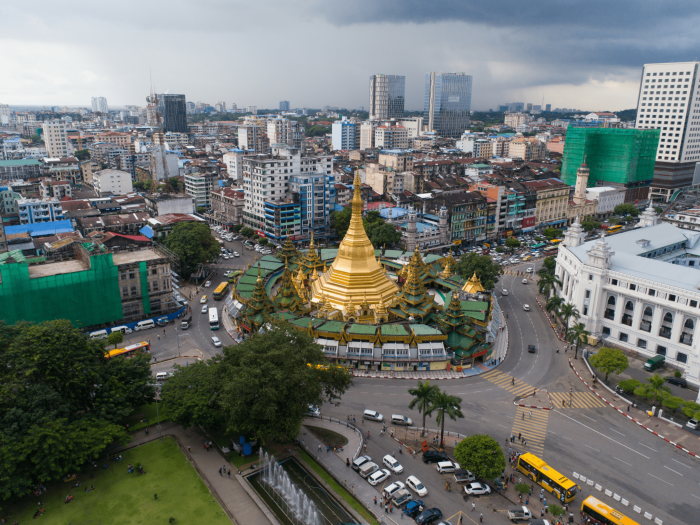 Prior to the reform, the Myanmar Companies Law, which came into force on August 1, 2018, made it possible for foreign investors to hold a minority stake of up to 35% in domestic firms, although this had not yet been applied in practice in the banking sector as the CBM had maintained strict supervision. Since 2013 the central bank has approved licences for foreign banks to establish representative offices and carry out limited business activities, and in November last year, the business activities were broadened to include wholesale banking services. Wholesale banking entails providing services between merchant banks and other financial institutions. There are currently 13 international banks – from China, Japan, Singapore, India, Malaysia and Vietnam – operating branches in Myanmar, as well as 49 foreign banks with representative offices and 26 private domestic banks. As well as providing a more competitive financial services landscape, the CBM is looking to boost lending, with low credit access posing an obstacle to growth across the economy. Indeed, in the most recent OBG Business Barometer: Myanmar CEO Survey, released in October last year, 83% of CEOs described credit access as “difficult” or “very difficult”. Key to improving this is the creation of the country’s first credit bureau, and to this end, the central bank awarded the Myanmar Credit Bureau (MCB) a licence to collect credit records and provide them to lenders in May last year. Work is ongoing to prepare for the launch of the MCB’s services, and in December the bureau signed a deal to purchase a credit bureau software licence from Equifax New Zealand – a provider of credit risk services. The CBM’s policy of capping interest rates at 13% – which meant lenders were not able to charge more for higher-risk clients and therefore often avoided providing credit – and strict collateral requirements have also been viewed as inhibiting private sector credit growth. However, the regulator recently moved to address this, giving banks permission to extend loans to clients at a maximum lending rate of 16% for unsecured collateral as of February 1. Furthermore, clients will be able to apply for the rate with or without collateral.